Do I have a Foundation Problem in Midwest City? What Causes Cracks in Brick in Midwest City? There are a few key indicators that will tell you if you have a foundation problem. You don’t need to hire a local specialist in Midwest City or purchase any tools to find signs of failure. The key is to look around your home or office for a few basic signs. Searching for horizontal cracks in the foundation is the obvious first step. A horizontal crack is a sign of too much water pressure building up behind the foundation. 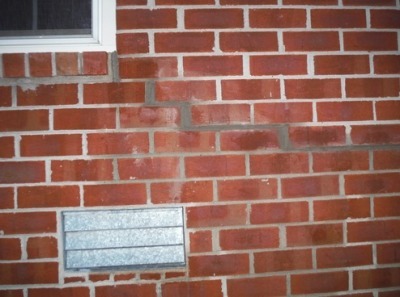 Water is one of the most common causes of cracks in brick. Water can accumulate in the soil around the foundation and result in some serious problems. When water reaches the soil, the soil expands and adds stress to the walls and foundation footings – this is what causes the cracks to appear. It is crucial to check for foundation failure. A great place to start is to search for moisture around your house. You want to ensure that your gutters and downspouts are clean so that excess water can move away from the perimeter of your house and towards your yard. Another easy tip is to ensure that your tree and shrubs are not overgrown, as this can create unusual movement around your foundation if roots start to grow below your foundation. Level Up Foundation Repair in Midwest City. 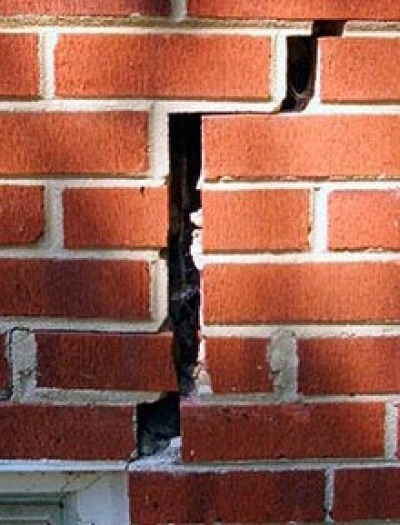 Cracks In Brick Foundation Repair Contractor in Midwest City, Oklahoma.